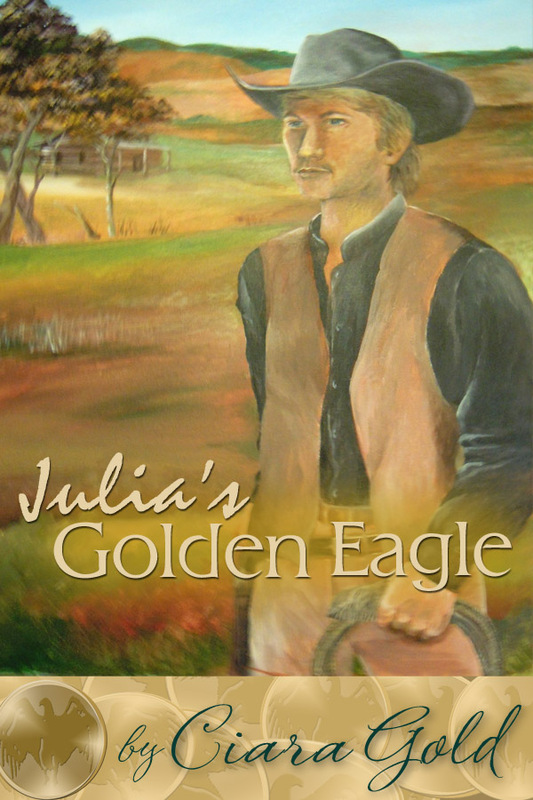 The second book in my Historical Western series is now available on Amazon. Whoop! This one was first released in 2007. I cleaned it up some more, took out a few redundancies and painted a new cover. I still have two more to get ready so be patient. It might be spring break before Eliza's Copper Penny (my personal fave of the four) and Kaitlin's Silver Lining make their reappearance. When the only daughter of a Brownwood’s local cattle baron allows a stranger to take the blame for a murder she thinks she committed, she orchestrates a jail break. Jake Nolan knows only one thing; he’s innocent of murder charges and Julia Stanton is the only person who knows who’s really guilty. 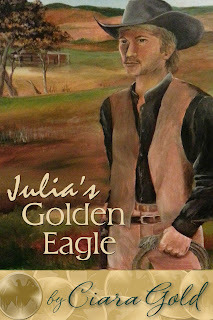 While Jake holds her captive to discover the truth, Julia’s seductive charms imprison his heart. You can find this story on Amazon. Experimentation is good and keeps me on my toes. So - here's what I've been up to. I decided to try self publishing. My reasons are selfish in some ways and not so selfish in other ways. I needed a way to find new readers for one and this seemed like a simple solution. I stressed over how to do this and worried over the right path. Well, there is not right way to do anything new or experiment except to just dive in and hope for the best. That said, I asked for the rights back on 4 of my historical westerns. Don't get me wrong. I'm not egotistical enough to think I don't need my publisher. I do. In fact, I probably need them more now than before. But I wanted this to be a win/win for both of us and I think it will be. The reason I wanted the rights back on those 4 is pretty simple. I needed books that were already written to assist in my self publishing endeavors. I'd written a new story, Texas Forged. It had been a year since I'd had anything new released. The wheels of publishing move slowly and if I'd submitted this one, it would have probably been another year to year and a half before it would release. An author knows that he/she must keep producing to stay alive in this business. So, with that in mind, self publishing seemed the best route for this book. However, without a publisher, this book has little hope of being discovered. With so many books offered on Amazon daily, the only way to make its presence known is to offer it for free on occasion. And this is where the other books come into play. Texas Forged is my loss leader. I'm hopeful that if others read this one and like it, they will purchase Sarah's Brass Token, which will then lead to sales for my other three westerns. Is it working? I think so. When I put Sarah's Brass Token up, she ranked around 500,000. Today, she's ranked at 53, 960 and she's showing up on pages for other westerns. That's the real goal. How will this help my publisher? Well, if they like these books and my writing style, I'm hopeful they will try the books I've written in other genres. Do I have plans to ask for the rights back on my other books? No. Having a publisher opens doors I wouldn't have otherwise. 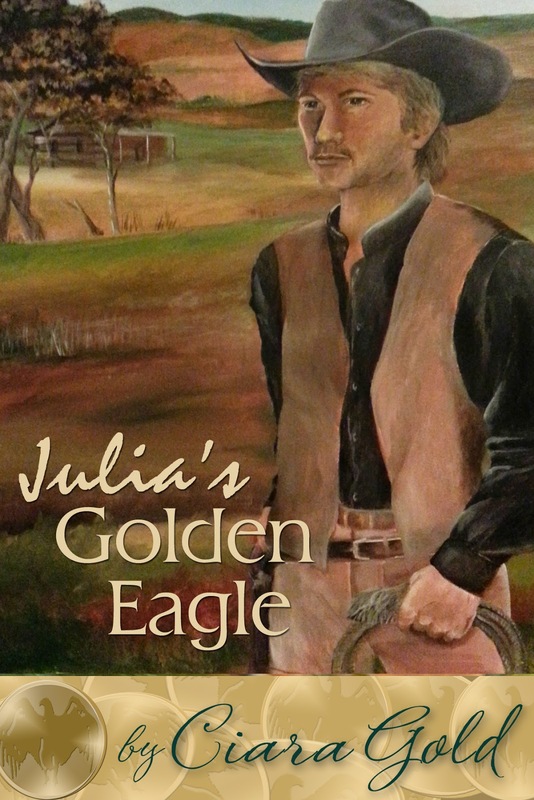 Now, off to finish getting Julia's Golden Eagle ready for Amazon. I've already got the rough draft of a cover done. Just need to take a better photo of the painting I did. I have about 50 more pages to edit and I'm there. I ran across this short story the other day and thought I'd share it here. I wrote this two years ago when we were doing a promotional thing on the Writer's Vineyard Blog. Set up for Scene: I’d like for you to meet two characters from Kaitlin’s Silver Lining who have now grown into young adults. Pete Hart was fourteen when Charley Kanatzer was eleven, but Charley is on her way home from a fancy school in Boston and makes a stop at Bryce Stanton’s family home in Brownwood. With nowhere else to go, Pete found his way to the Stanton ranch and is now foreman, and though he still has inner demons to wrestle, he’s content if not happy. But Charley wants more and starts a stampede on his emotions. If you want to know more about either of these characters, read Kaitlin's Silver Lining, available soon on Amazon. So, the first challenge she issued has us drafting a short scene with the following words: Cake, Rustler, Tuesday, Cheyenne, and Jack rabbit. I wrote a short scene that I really liked. So yesterday she issued another challenge whereby we had to use the words: Ghost town, Tumbleweed, Townsfolk, Gingerbread, and Angel(s). I decided instead of working up something new, I'd just add to what I'd done before. Since it's too long for the forum, I'll post here for any who want to read it. I'm stealing the idea of posting the longer version here from Alison Bruce. Be sure to read her challenge answer also. It's amazing. Cheyenne Meeks leveled his Smith and Wesson model 1870 Schofield at the unsuspecting jack rabbit foraging for its own supper. The tall eared critter hopped to the left and just out of view, its gray brown body hidden behind a fallen log. Cheyenne continued his vigilant pursuit and stood stock still hoping dinner would reenter his sights soon. “I guess that depends on who’s askin’.” Her eyes were sure an interesting shade of amber. Cheyenne maintained his smile with some effort. He hadn’t come all this way for a bride that could probably outshoot, out cuss and out ride him. Damn the war for forcing him into his current situation, but his place of birth was all but a ghost town, and he was right tired of living from hand to mouth. Her advertisement promised a large plot of land for a man willing to work. The only catch – marriage. “About that. Are you still set on wedding a stranger? Perhaps we can work a deal whereby you hire me instead.” Though to be honest, the idea of owning a hundred forty acres of prime land appealed more than he wanted to let on. Something flashed in her eyes. Hurt? Surely not. After all, they didn’t even know each other. He plowed through fallen leaves and clinging foliage until they hit a more established path. From there, they walked in companionable silence until they reached their destination. He stared in awe of the two story white washed house trimmed in gingerbread scrolls. The wrap-around porch held a cozy appeal that reminded him of his childhood home. The quaint abode somehow didn’t match the woman who stood beside him. Perhaps she had a soft side after all. He was about to voice his approval when the door squealed open and a small child peaked out at them. “Your advertisement said nothing about children.” God, why did she have to look so much like Savannah? No. He didn’t have anything against angels, but the doe eyes, full cheeks and blonde curls reminded him more acutely of all he’d lost. 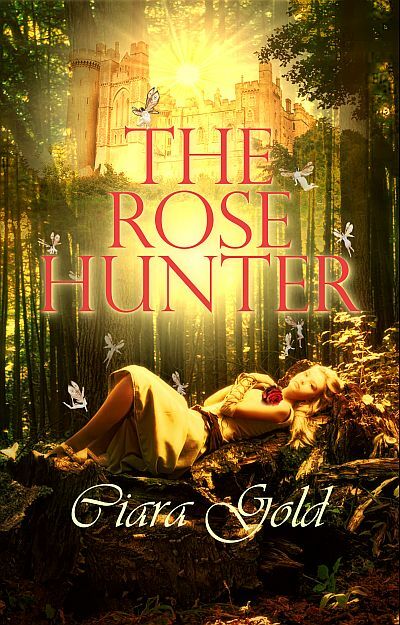 The cherub peered up at him through thick lashes and stuck her thumb in her mouth. “Is she yours?” he asked. He started at her brazen announcement. He took a deep breath and willed himself to remember why he’d agreed to her terms in the first place. For better or worse, he was about to accept the hand of a woman more suited to herding cows than being the wife of a misplaced, southern plantation owner.